This facility provides practice rooms, studios, a recital hall and administrative space for this community based arts organization. Given the limited site area, the building was planned around a series of outdoor courtyards. The large central courtyard provides an activity area for the students and a place for outdoor concerts. 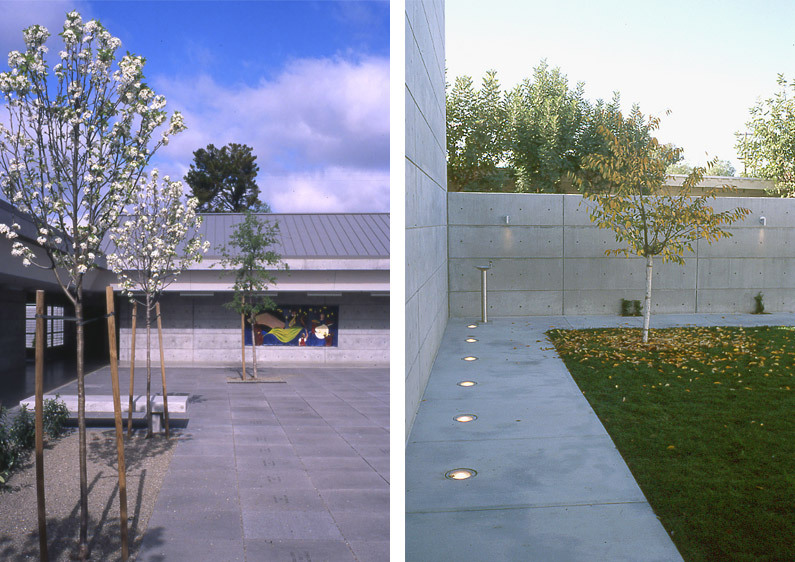 The courtyard is paved with cast stone pavers and is planted with flowering pear trees and a large oak. A smaller courtyard, enclosed by vine covered walls, is used as a play area by the younger students. 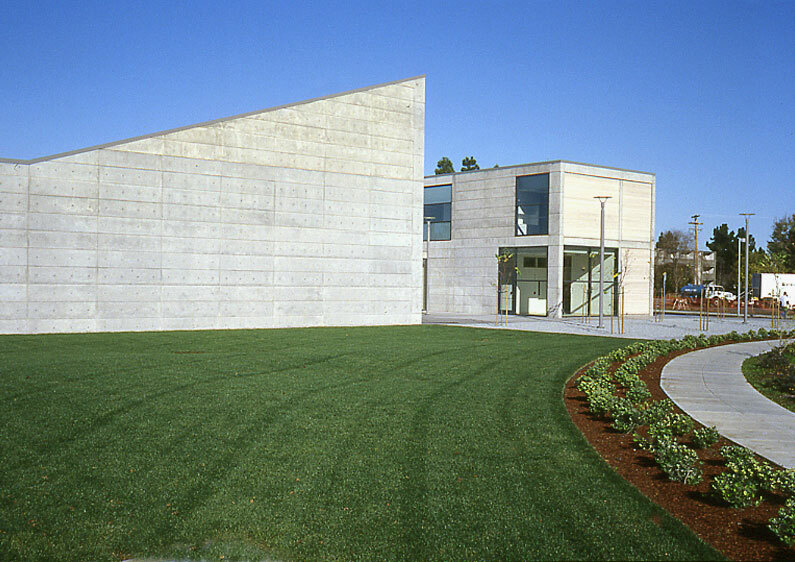 A third courtyard, planted with a grove of flowering redbud trees, provides entry to the building and serves as an outdoor gathering place for the large recital hall. A simple palette of plant materials was used to complement the architectural character of the building.